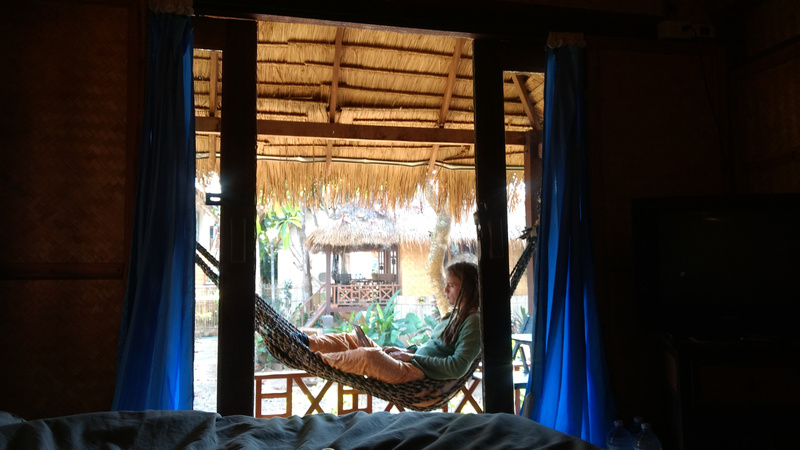 So we’ve spent the last ten days in Pai, which is essentially a hippy haven; full of shops selling tie-dyed clothes, chilled out cafes with hammocks in abundance, and the occasional bar. 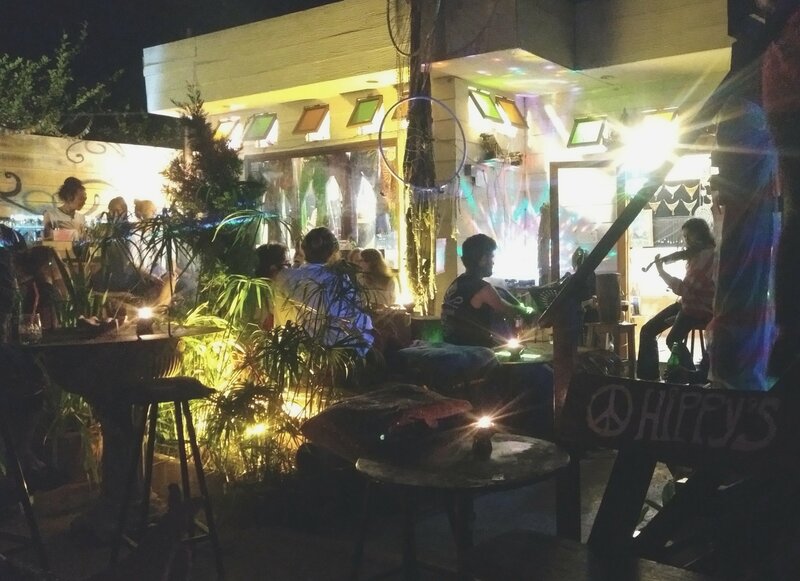 There’s live music pretty much every night, usually in the form of open mic nights and jam sessions, so in that way it’s much more accessible than Chiang Mai in terms of night life. We’ve got two more days here and while I’m glad we extended our stay (as does pretty much everyone who comes here by at least one night! ), I think we’ll be ready to move on and explore Laos next. Practicing poi and hula hooping at the Pai Circus Hostel. I am one of the least coordinated people ever but after an hour I managed to pick up some basics. 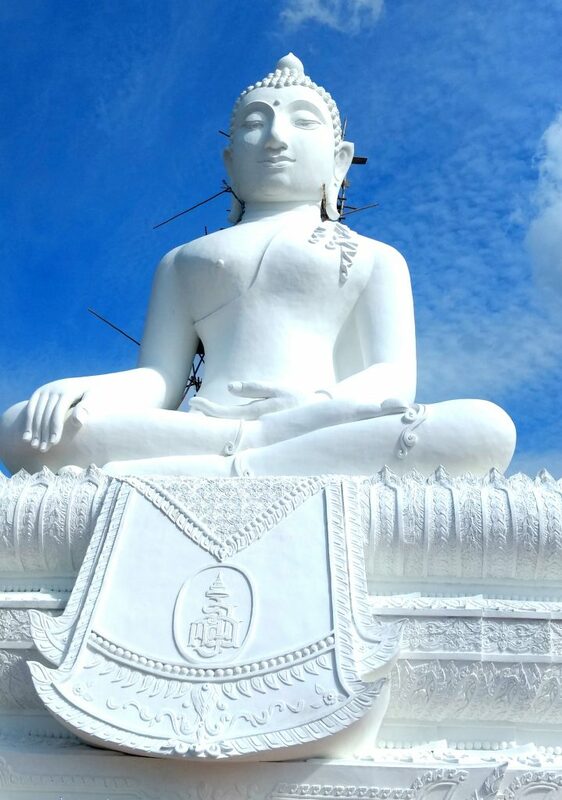 For 100 Baht you can enter the hostel for the day and take part in circus skills in the afternoon, yoga in the morning, and revelling in the evening. This is also a great place to meet people, play beer pong and there’s even a little pool for swimming, with awesome views. Walking to the White Buddha which overlooks the valley. Be warned though, if you do this in the midday heat like we did, take a lot of water! The view was well worth it, and like many spots in Pai, is meant to be great at sunrise/sunset. 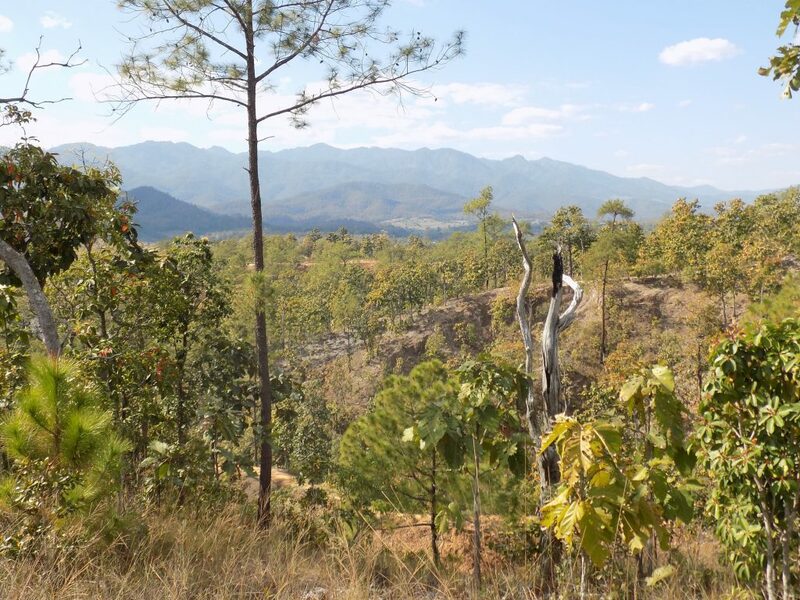 The Pai Canyon is also an awesome spot, and quite an adventure to walk around! (Warning though, you do need to do a bit of climbing and if you’re not a fan of heights then the whole circuit might not be for you!) I rented a scooter with a friend to get there as it’s about 8km outside of Pai, but well worth the trip. Again, take lots of water as it gets pretty hot in the day! 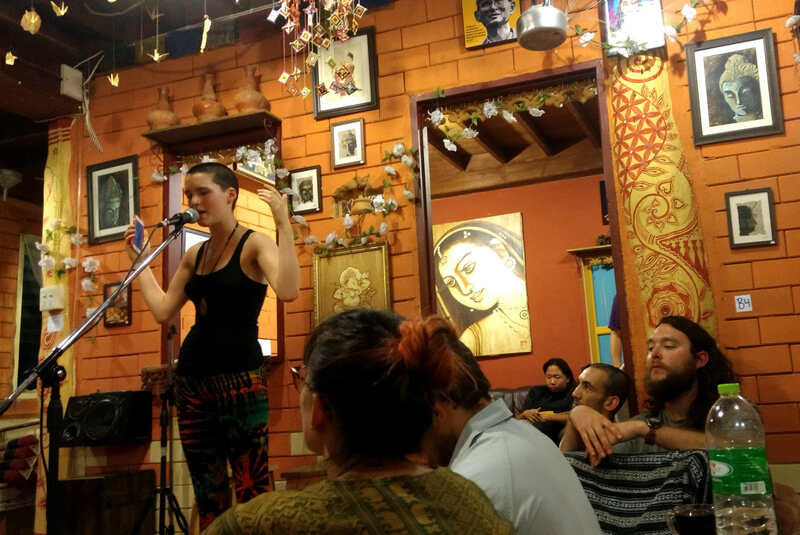 Spoken Word Open Mic at Art in Chai. This was an awesome evening – the place was packed when we went, so it might be good to get there early, especially in high season. We saw a variety of acapella singing, spoken word and poetry, drumming, and even a bit of breakdancing! They also serve a wonderful variety of drinks and cakes so it’s worth a visit any day. working and chilling in the day at Edible Jazz (and enjoying the music in the evening) and finding the Spirit Bar by complete coincidence! Lowlights include: getting food poisoning (we think!) We’re not sure what happened but the last few days have been very slow, and we’re still regaining our appetites, which you know means it’s bad! It’s meant that we missed out on Chinese New Year celebrations and a couple of things we wanted to do like the Hot Springs, but we’re on the mend now and heading back to Chiang Mai in a couple of days before our onwards trip to Luang Prabang, which we’re very excited about!